The invoice price & true dealer cost are not the same. The true dealer cost of a Honda Civic Hatchback is lower. Note: The Honda Civic Hatchback pricing report below does not include rebates or incentives. 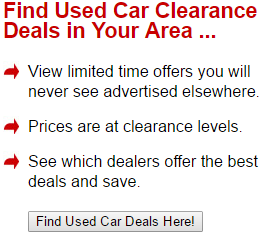 View Honda Rebates and Incentives. Honda Civic Hatchback Prices - How Much is a Honda Civic Hatchback? The Honda Civic has long been a popular compact car. With the hatchback design, Honda has opened things up in the back and provided extra cargo room. Storage space behind the second row measures 25.7 cubic feet. That expands to 46.2 cubic feet when the seat is lowered. The 2019 Honda Civic Hybrid has gotten a few updates to make it more modern and attractive to today's consumer. Cosmetically, the front bumper has been restyled. Inside the car, the infotainment system has been revamped; the new knob makes volume adjustments a bit simpler. The safety system is now more comprehensive, to include various features that can actively assist drivers. The 2019 Honda Civic Hatchback runs on an in-line four-cylinder engine. This turbocharged engine has a displacement of 1496 cc, and it's capable of generating 174 horsepower and 162 pound-feet of torque. In the Sport, the engine is slightly more powerful, with up to 180 horsepower and 177 pound-feet of torque. The Sport is the only version that gives the option for a six-speed manual transmission as an alternative to the standard automatic one. Those who choose the continuously variable transmission, to include all the drivers of the the other Civic trims, can use paddle shifters if they want more control. The 2019 Honda Civic Hatchback is an efficient car, getting an estimated 31/40 (city/highway) estimated miles per gallon. The sport gets just a touch less, at a combined 33 miles per gallon for the manual and 32 miles per gallon in the automatic. In any of the models, the Eco Assist System can be used to maximize efficiency. The Civic has a youthful feel to it. A wide piano grille and LED daytime running lights call attention to the car. Lines running at various angles across the body help it seem different than the standard sedan, and the C-shaped LED taillights showcase the slope of the back of the Civic. As a compact vehicle, the 2019 Honda Civic Hatchback is sporty and aggressive while being quite stable. A multi-link rear suspension and MacPherson struts up front work to smooth things out. The standard model runs on 16" wheels, with the higher trims either using 17" or 18" ones. If preferred, the car can come with a power moonroof, perfect for those days or evenings when the temperature is just right. There are four different trim levels to choose from on the 2019 Honda Civic Hatchback. The base model is called the LX, and the Sport comes with its own set of unique features. The EX and EX-L Navi are the higher-end trims, packed with advantages that some drivers have come accustomed to seeing in their vehicles. For example, those two trims are the only ones to come with a remote engine start and heated side mirrors. Additionally, these trims automatically include the moonroof, which can either be tilted or slid open with the touch of a button. The smart entry feature allows them to be unlocked when the driver is approaching and locked when the driver walks away with the key fob. Similarly, the push button start is only found in the EX and EX-L Navi, as is the dual-zone automatic climate control system. Differentiating the EX-L from the other is that it comes with a rearview mirror that can automatically dim when sensing bright lights. It has finer touches like leather on the steering wheel and shift knob, and it's the only trim to come with leather-trimmed seats and heated front seats. Most importantly, perhaps, is that it includes navigation built into its infotainment system. What sets the Sport Hatchback apart from the others are various touches, such as an underbody spoiler kit and a unique center-mounted dual outlet exhaust. The layout of the exhaust system helps bring symmetry and interest to the back side of the car. Inside, the driver can appreciate the leather-wrapped steering wheel and sport pedals that enhance the style. In a 2019 Honda Civic Hatchback, there are multiple ways to stay connected and entertained. The LX and Sport have a four-speaker audio system along with a 5" color LCD screen. That set-up is upgraded to an eight-speaker system with a 7" high-resolution screen in the EX and EX-L. Those two trims come with Apple CarPlay and Android Auto compatibility as well as the ability to play SiriusXM Radio and HD Radio. In all of the models, Bluetooth technology is present to allow for wireless connectivity. All of the 2019 Honda Civic Hatchbacks include several Honda Sensing features. For instance, there are mechanisms that can keep vehicles from drifting out of their lanes and those that actively maintain proper distancing while cruise control is being used. A standard rearview camera can prove useful when backing up in or out of a parking space. In the EX and EX-L, there's an advanced LaneWatch system built in. When changing lanes, a camera on the passenger's side mirror can send a live feed of what's in your blind spot to the touchscreen display. 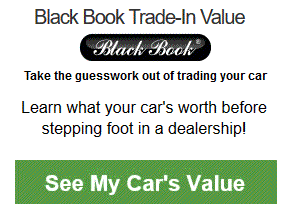 Example: Base Honda Civic Hatchback invoice price + the dealer Invoice price of all the options + destination - Holdback = Total Dealer Cost. 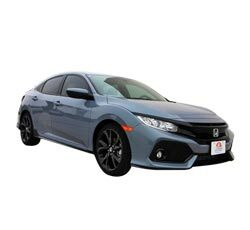 Note: All Honda Civic Hatchback MSRP, invoice and dealer cost dollar figures above are approximate amounts. Prices are subject to change without notice.